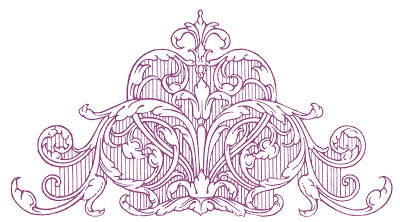 I want to give a big welcome to Karyn and Kate ~ my newest blog followers. Even though I'm a member of the Doodle Pantry DT, I wasn't "scheduled" to create a card for today's new product release. But when I saw the Renewed Faith Sentiments set . . . I knew I had to create a card using one of the scripture sentiments. I won't go into details, but I shared with Laurie, the creator of Doodle Pantry, why this particular verse/sentiment meant so much to me and why I wanted to join the other DT group today. God always knows what we need and when we need it. I had the butterfly stick pin on my desk; I don't remember why or when I made it. But, it was destined to be a part of this card. And I didn't have any Coral flowers, so I sponged a few pink ones. A bit of ribbon and spirals complete the decorative aspect of the card. The gorgeous DSP is also a part of this set and I actually had ink (Memento Morocco) and cardstock (Stampin' Up! Calypso Coral) that matched it perfectly. The sentiment and matching mat were cut using Spellbinders' Decorative Labels Eight. I don't know if it's because of who I made this card for, or the verse/sentiment, or because it came together just as I had envisioned . . . but this will always be one of my top 10 favorite cards. Please stop by the Doodle Pantry store to see the other new products being released today. All the new products are on sale-25% off. 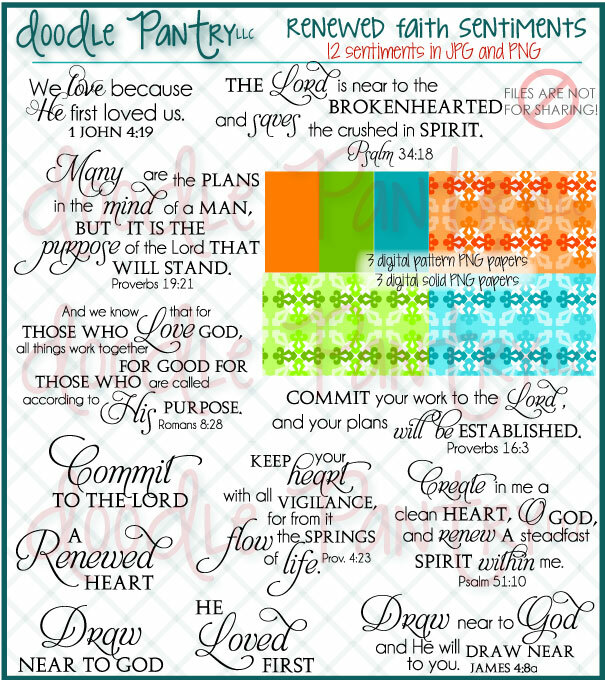 And, don't forget to check out the new Freebie section (click here). 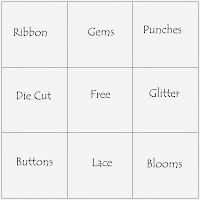 The theme this month is Candy with an option to use Ribbon. Click here to get all the details and to enter your project (you don't have to use a Doodle Pantry image to enter the challenge). 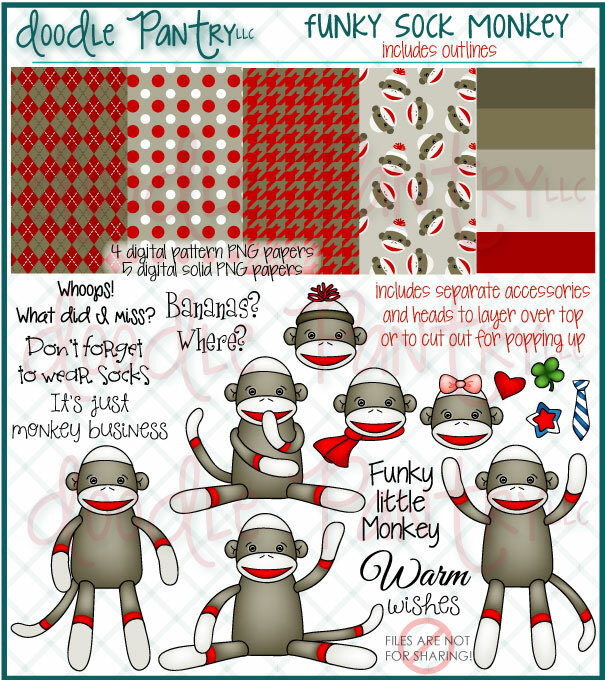 Funky Sock Monkey, released today, is being added to the OWH category. This means that $1.00 from each set sold is donated to OWH. There are currently 9 sets in this group. This is absolutely gorgeous, Heather! The beautiful die frames and flowers showcase the verse perfectly!! Wow, Heather, such a beautiful creation! WOW Heather, this is so beautiful. Such delicate layers. I love the sponging and the addition of the doily. Beautiful monochromatic card. I love the color you chose and your shading around the sentiment. Wonderfully done. 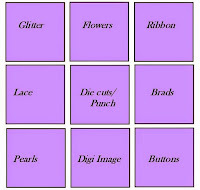 So glad you entered the Die Cut Divas challenge this month. Yay!!! I'm so excited for you. I can't wait to see pictures. What a gorgeous design. Love the colour palette and those lovely diecuts are perfect for our challenge.